You’d think moons would be dotted all over the place. We have one, Mars has two, Jupiter has 79… it seems like the Solar System is overwhelmed with moons, so why is spotting one outside of the Solar System such a big deal? 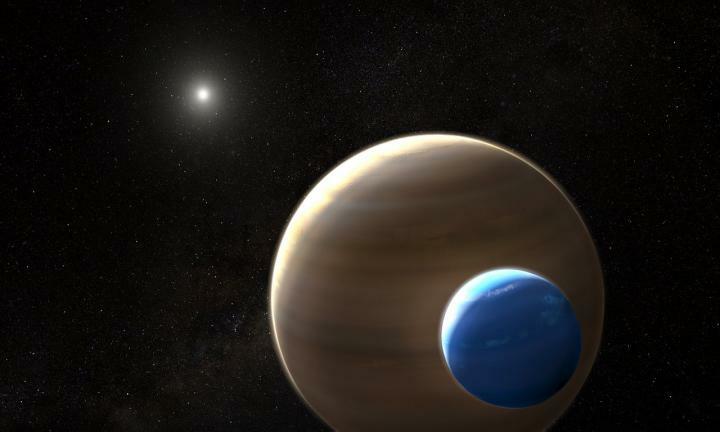 The exomoon in question is 8,000 light years away from our Solar System and is about the size of Neptune. An exomoon is a name for a natural satellite that orbits a planet that lives outside the Solar System. Several candidates for exomoons have been spotted, but not one of them has been confirmed as an actual moon. “This may yield new insights into the development of planetary systems and may cause astronomers to revisit theories of how moons form,” said Alex Teachey, the graduate student who led the study. The difficulty comes with the size of objects in the universe and how much light they emit. Galaxies are easy to spot since they are so large and filled with burning, glittering stars. Individual stars are harder to see but, if they are bright enough, are still observable at closer distances. Planets are smaller still than stars and emit next to no light. (Humans on Earth create things that emit light, but not enough to be significant at Solar-System length distances.) Then, Moons are often even smaller than the planets themselves. 3,791 exoplanets have been confirmed to date, with more found every year. This seems like a lot, that is, until VISTA reminds us that they have catalogued over 84 million stars. Exoplanet shadow example. Survey of Transiting Extrasolar Planets at the University of Pittsburgh. The latest exomoon candidate was found in a survey of 284 planets transiting their star. When the moon passes in front of the star (as we see it), it casts a shadow on the surface of the star and the starlight dims. The nature of Kepler-1625b’s shadow indicated that it could have a moon, Kepler-1625b-i. The usual dimmed signal indicated a planet passed in front of the star, and 3.5 hours later, there was a second dimmed signal, though not a large as the first, suggesting the presence of a moon trailing after the planet. In this case, the authors were rigorous but are proceeding with caution about the interpretation of their results. More tests will need to be done before this is confirmed to be a moon.